PEEK is available in monofilaments of varied thickness.These filaments are particularly suitable for applications that require extremely high mechanical, thermal and chemical properties. PEEK monofilament boasts excellent abrasion and corrosion resistance, high tensile strength, and tenacity. 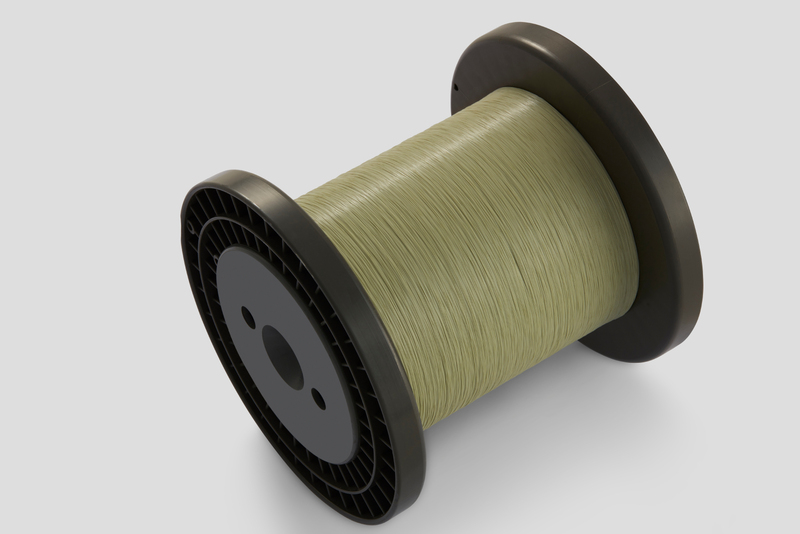 This monofilament forms a perfect braiding material for wire and cable sheathing, and can perform well in temperatures up to 500 °F (or 260°C). PEEK Monofilament is also suitable for several ultrahigh vacuum uses–they are vacuum rated to 1 x 10-10 Torr. PEEK monofilaments are usually available in flanged reels, however, for braiding applications they may also be supplied directly on braider bobbins.